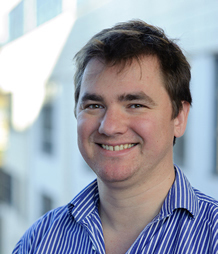 Dominic Trepél (PhD) is Assistant Professor of Economics at TILDA and is jointly appointed to work with the Global Brain Health Institute (GBHI). Trepél has specialised in health economics and much of this research efforts are dedicated to the study of dementia, mental health and ageing. Through his joint appointment with GBHI, he aims to exploit TILDA (and related harmonised surveys) to improve our understanding and policy response to the challenges associated with ageing, cognitive decline and dementia. Trepél has previously held Senior Research Fellowships with leading centres in health economics including University of York and the Academic Unit for Health Economics (AUHE) at University of Leeds. His PhD examined the 'Economics of Dementia in Ireland and Europe' was supported by the prestigious Government of Ireland Scholarship (IRCHSS) and a Cochrane Fellowship (HRB), and outputs were presented to members of the Irish Parliament. Trepél is a member of the International Health Economics Association (iHEA), and the Campbell and Cochrane Economics Methods Group (CCEMG). He was part of the scientific committee for the joint meeting of the Coèllge des Economistes de la Santé (CES) and the Health Economists' Study Group (HESG). He also peer-reviews research for the Health Economics Journal, National Institute for Health Research (NIHR), Medical Research Council (MRC) and Alzheimer's Association. He also serves on the International Panel of Scientific Advisors for the Alzheimer's Society of Ireland. Through his international doctoral training in health economics (from the Swiss School of Public Health (SSPH+)) and from working in a number of leading research centres, Trepél offers a broad technical skillset which includes: Applied Microeconometrics, Statistical Analysis, Health Service Research, Research Design, Economic Evaluation, Cost-Effectiveness Analysis, Health Technology Assessment, Randomised Control Trials, Decision-Analytic Modelling, Health Financing, Analysis of Health Expenditures, Critical Appraisal of Decision Models, Evidence Based Medicine, Systematic Review, Meta-analysis, Medical Decision Making, Outcomes Research, Reimbursement Mechanisms and Productivity Analysis. Postdoctoral researchers and PhDs specialising in Health Economics (or related disciplines) - interested candidates are welcome to make contact. Health economists (and related quantitative or policy analysts) who are interested in conducting empirical research using TILDA (and/or a related datasets) in a manner that fulfil the GBHI Mission should apply for a GBHI Fellowship: http://www.gbhi.org/apply/ - in the first instance, informal enquiries are welcomed. Hayden McRobbie, Peter Hajek, Sarrah Peerbux, Katie Myers Smith, Brennan C Kahan, Sandra Eldridge, Dominic Trepél, Steve Parrott, Chris Griffiths, Sarah Snuggs. A peer-support weight management programme versus multisession advice in general practice for obese adults from deprived communities: A randomised controlled trial and economic evaluation. Health technology assessment (Winchester, England). HTA: 09/127/34. In press: October 2016. B Fenn, D Trepél, C Dolan, J Shoham, V Sibson: Seasonal unconditional cash transfers and wasting in Niger. Annals of Nutrition and Metabolism 01/2013; 63:1002. D Trepél: An update on the economics of dementia care in Ireland. Irish medical journal 02/2012; 105(2):38-9. Dominic Trepél: Informal Cost of Dementia Care - A Proxy-Good Valuation in Ireland. The Economic and social review 08/2011; 42(4):479-503.